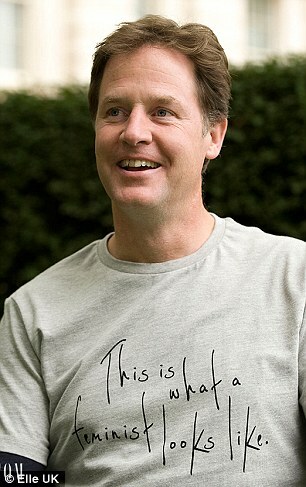 Feminist T-shirts proudly worn by Ed Miliband, Nick Clegg and Harriet Harman are made in ‘sweatshop’ conditions by migrant women paid just 62p an hour, a Mail on Sunday investigation has revealed. The women machinists on the Indian Ocean island of Mauritius sleep 16 to a room – and earn much less than the average wage on the island. 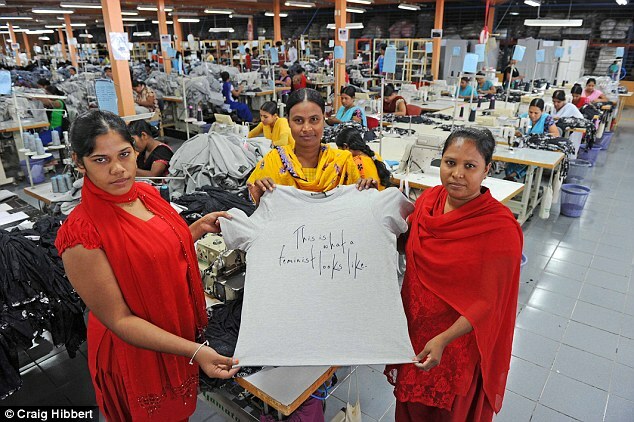 They are the T-shirts designed to make a political statement about women’s rights – but the female workers making them are paid just 62p an hour in an Indian Ocean ‘sweatshop’. Between shifts women making garments emblazoned with the slogan ‘This is what a feminist looks like’ sleep in spartan dormitories, 16 to a room. And critics say the low wages and long hours at the Mauritian factories amount to exploitation. 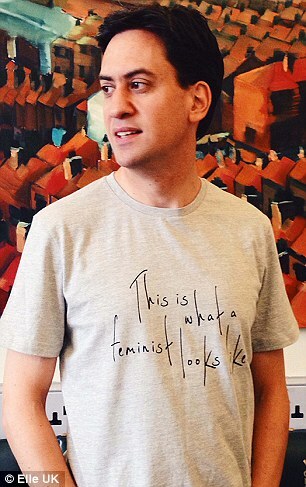 The shirts have been worn by Ed Miliband, Nick Clegg and Harriet Harman, all keen to display their feminist credentials – even though the Deputy Prime Minister last night admitted he had ‘no idea’ where the garments were made. But The Mail on Sunday has toured a factory producing the T-shirts, where workers earn just 6,000 rupees a month – equivalent to £120. The figure is just a quarter of the country’s average monthly wage, and around half of what a waiter earns. Each ‘feminist’ T-shirt costs just £9 to make, but high street chain Whistles sells them for £45 each – a figure it would take the women a week and a half to earn. The retailer promised an urgent investigation last night in the wake of the Mail on Sunday exposé. An official from factory owner Compagnie Mauricienne de Textile (CMT) told us he ‘would not be happy’ if the women left the work camp during the week in case they turned up for work ‘hungover’. Whistles, whose customers include the Duchess of Cambridge, is selling the T-shirts in aid of women’s activism group The Fawcett Society – which receives all profits. The campaign is backed by fashion magazine Elle. 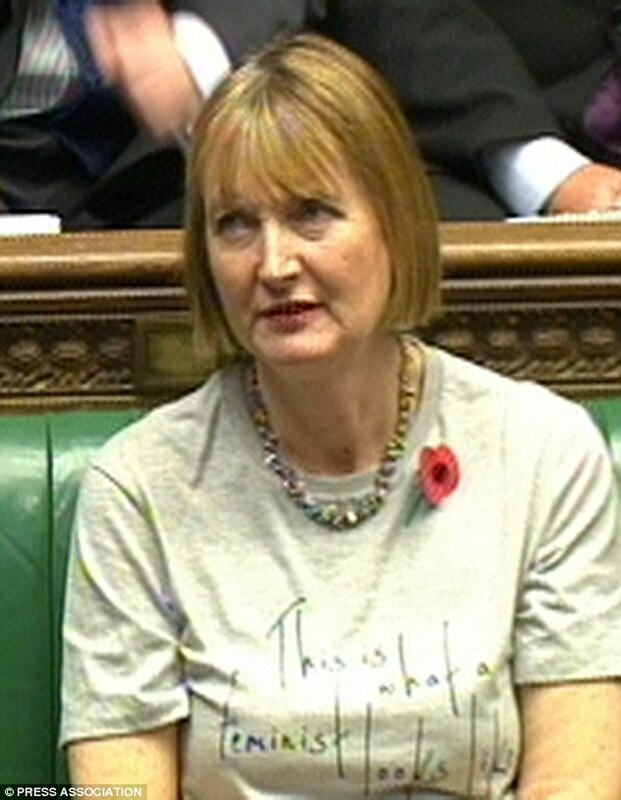 Deputy Labour Leader Harriet Harman wore a shirt carrying the slogan on the front bench of the Commons during Prime Minister’s Questions last week, while the Labour and Liberal Democrat leaders proudly posed for photographs in Elle’s ‘feminism issue’ in the T-shirts. 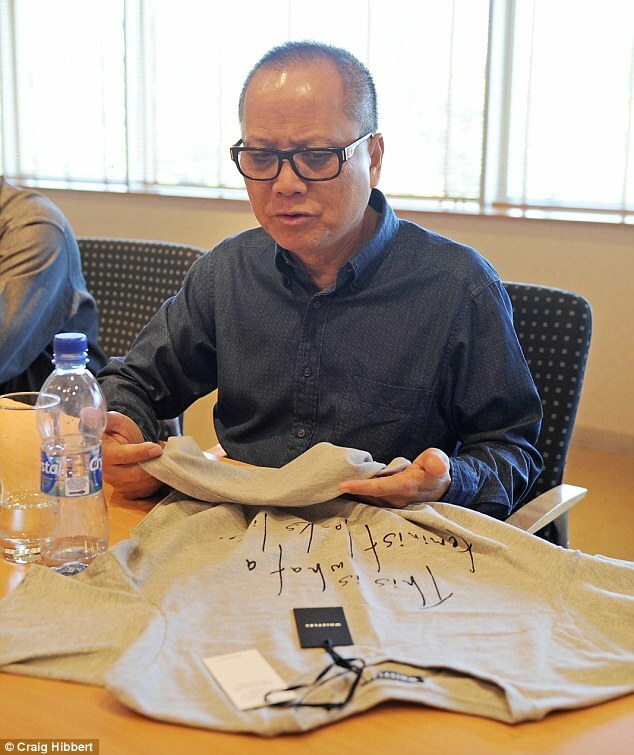 Fayzal Ally Beegun, president of the International Textile, Garment and Leather Workers Union said: ‘The workers in this factory are treated very poorly and the fact that politicians in England are making a statement using these sweatshop T-shirts is appalling. ‘It would take a woman working in the factory nearly two weeks just to buy one shirt. What is feminist about that? These women have nothing in this world. They are paid a pittance and any money they do receive they send back home. ‘They work very long hours and have no lives other than their work. They are on four-year contracts that mean they don’t get to see their families in that time. What kind of existence is it when you are sharing your bedroom with 15 other women? Celebrities pictured wearing the feminist T-shirt in Elle magazine include Benedict Cumberbatch, Tinie Tempah, Eddie Izzard, Richard E Grant and Simon Pegg. He told us that the plant is one of six across the island where living conditions and wages are identical. Mr Woo instructed workers to smile as our photographer took pictures of them on the shop floor. The tour was delayed when we asked to view the women’s accommodation block. Staff made several phone calls and 30 minutes later we were allowed to view the bedrooms. The 20ft square rooms are home to eight sets of bunk beds, each with a thin mattress and a pillow. Shelving on the far wall houses the workers’ meagre belongings. The women – who we could not talk to – work 45 hours a week basic and can earn more if they work overtime. After the tour and without the company’s senior staff, we visited another of the company’s factories, in Curepipe. Outside we spoke to one 30-year-old worker. She told us: ‘I have worked here for four years and I have not been able to see my son or husband in Bangladesh during all that time. We work very hard, sometimes 12 hour days, for not much money. I send all my money home and could not afford to fly back and see my family. ‘It is awful but we have no choice. In my country, the rupees I earn here are worth three times as much as they are in Mauritius. ‘How can this T-shirt be a symbol of feminism? CMT has an annual turnover of £125 million. It produces 40 million T-shirts a year for clients including Topshop, Next and Urban Outfitters. It employs 13,000 staff at its factories and about 4,500, all foreign, are housed on site. Migrants come from countries including Bangladesh, Sri Lanka, India and Vietnam. There are around 2,800 female machinists. Workers are expected to produce around 50 shirts a day and face discipline if they do not reach their target. Mr Woo said: ‘The Mauritian government has set out a minimum wage that we must pay and we abide by their rules. ‘I am like a parent to the workers. They are free to come and go as they please but if they go out on a weeknight I will not be happy because then they will turn up for work the next day hungover. If people didn’t want to work for us then they don’t have to, nobody is forcing them. If they have the chance to earn more somewhere else then they should go elsewhere. The factory was the focus of an exposé in 2007 when it was revealed that workers were being paid just £4 a day to make clothes for Sir Philip Green’s Kate Moss range at Topshop. At the time, the factory employed agents who promised migrant workers good wages but when they moved to Mauritius they were told they would earn a pittance. The factory was also criticised for paying workers of different nationalities different wages. Dr Neitzert said they had originally been assured the garments would be produced ethically in the UK, and when they received samples in early October they noted they had in fact been made in Mauritius. They were assured by Whistles that the factory was ‘a fully audited, socially and ethical compliant factory’ and decided to continue with the collaboration. ‘We have been very disappointed to hear the allegations that conditions in the Mauritius factory may not adhere to the ethical standards that we, as the Fawcett Society, would require of any product that bears our name,’ she said. 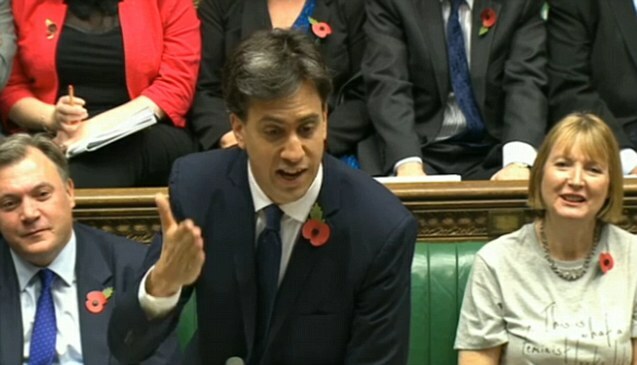 ‘At this stage, we require evidence to back up the claims being made by a journalist at the Mail on Sunday. However, as a charity that campaigns on issues of women’s economic equality, we take these allegations extremely seriously and will do our utmost to investigate them. ‘If any concrete and verifiable evidence of mistreatment of the garment producers emerges, we will require Whistles to withdraw the range with immediate effect and donate part of the profits to an ethical trading campaigning body. The chain initially said they did not feel they had been given adequate time to respond to our questions about the T-shirts. But a spokesman later promised: ‘We place a high priority on environmental, social and ethical issues. 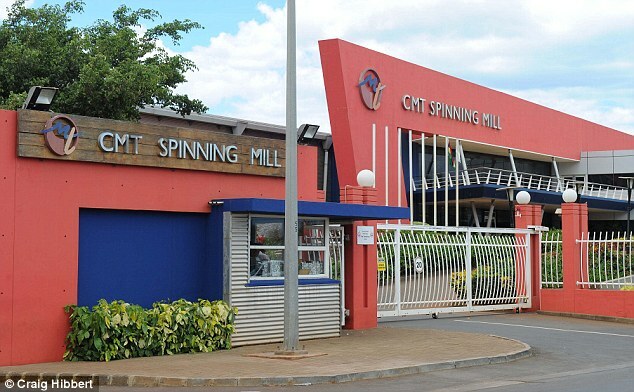 The allegations regarding the production of T-shirts in the CMT factory in Mauritius are extremely serious and we are investigating them as a matter of urgency. ‘CMT has Oekotex accreditation, [an independent certificate for the supply chain] which fully conforms to the highest standards in quality and environmental policy, while having world-class policies for sustainable development, social, ethical and environmental compliance. However the company acknowledged: ‘We will require time to thoroughly investigate the allegations with the factory and our lawyers in great detail. CMT is one of the largest suppliers to many high street brands, including the Arcadia group [owner of Topshop and Burton]. When she founded Whistles, former Topshop executive Jane Shepherdson vowed: ‘Customers cannot keep buying cheap clothes and not ask where they come from’ – as ‘someone somewhere down the line is paying’. PreviousU.S. Releases Secret Memo Justifying Targeted Killing of American Citizens. In the memo, the government claims broad authority to kill American terrorism suspects without judicial process or geographic limitation.